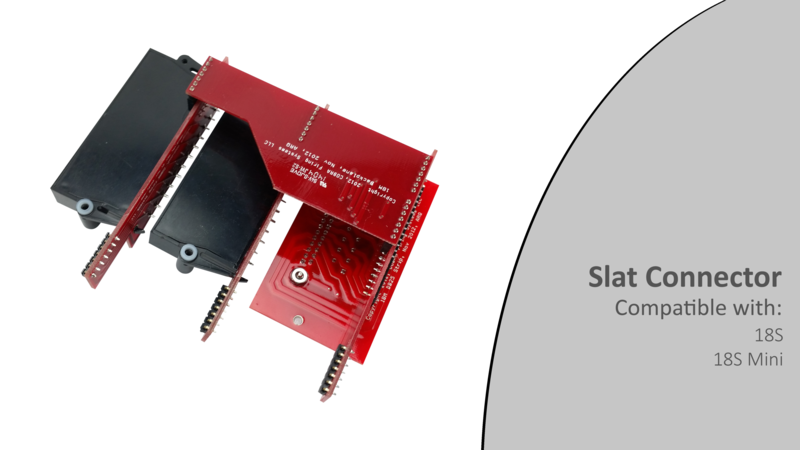 This accessory is required in order to connect the 18S slats to the 18M firing module. 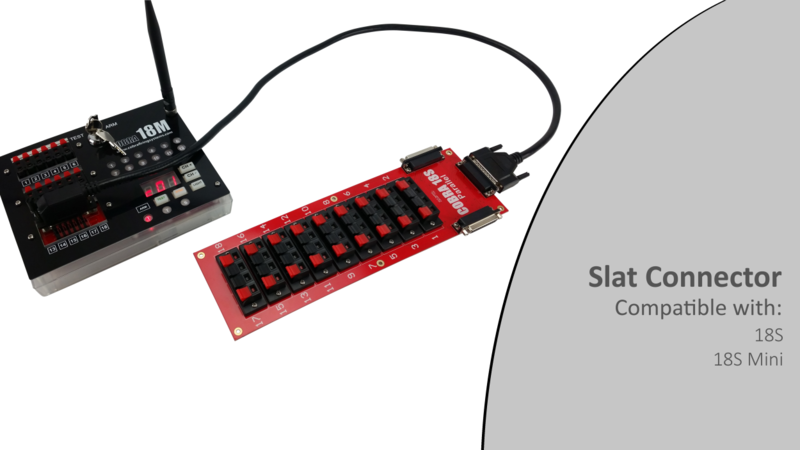 Please note, all slat connectors now feature a left exiting slat connector board that will allow the slat cable to exit from the left side of your module. 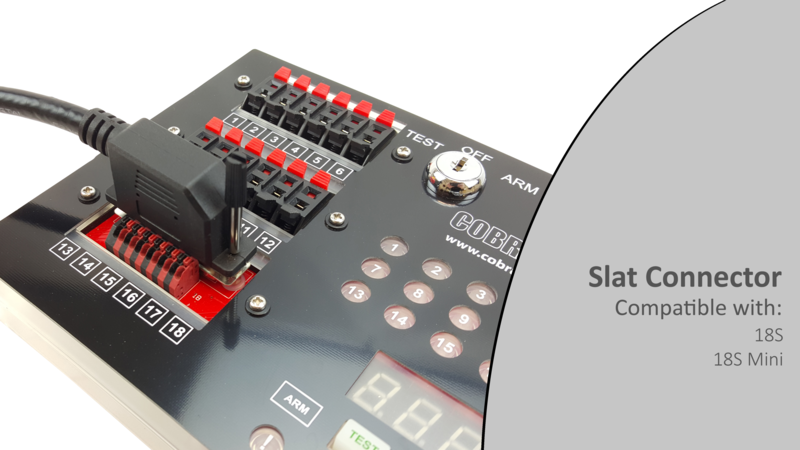 A detailed guide on the installation process for the COBRA Slat Connector. An instructional video demonstrating the capabilities and features of COBRA slats. 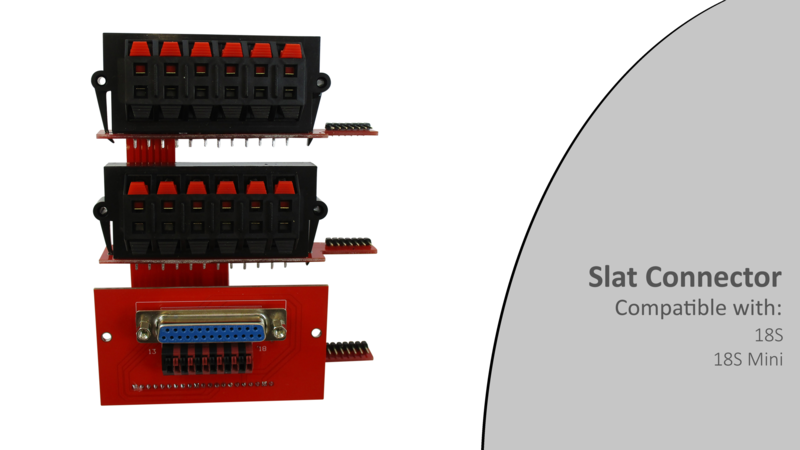 An in-depth guide covering the installation process of the COBRA Slat Connector.